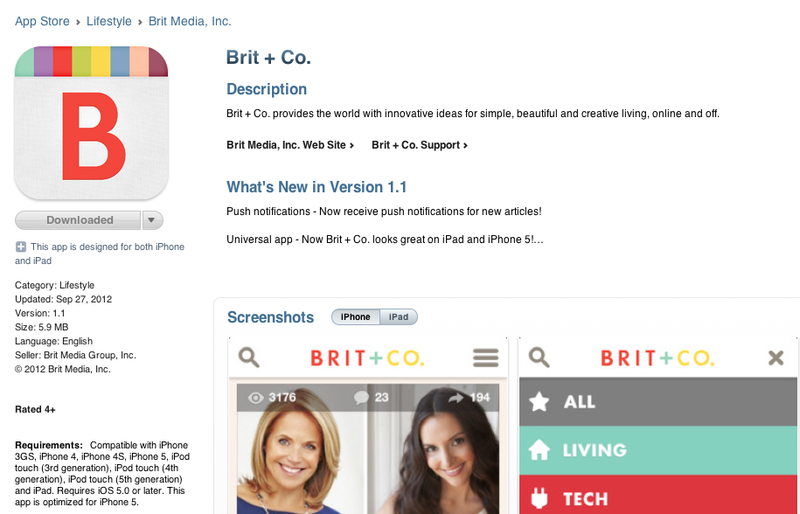 some of you who follow me via twitter and facebook may know that my latest iphone obsession is Brit+Co...like major OBSESSION. it's like pinterest but way easier to use and so much more fun. 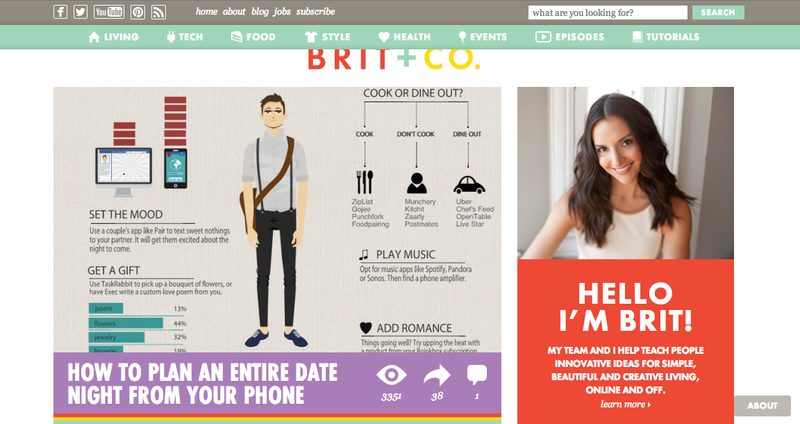 starter Brit Morin seriously knows how to keep people excited, i mean almost every day she posts at least 3 new ideas, recipes, funnies, styles or DIYs. i love it because the things she posts are just so simple yet so cool and amazing. it's like, "omg why didn't i think of that?" she has an iphone and ipad app and a website too. i love it especially because my man phillip is always reading the news on his iphone so i find myself just bored...but thanks to Brit+Co i am now thoroughly mesmerized. this is great!!! sounds like a really cool app...will check it out! Thanks for sharing! Great app! Sounds and looks very interesting, might check it out!